Please join fellow scholars and faculty for the first annual Rustgi Undergraduate Conference on South Asia at the University at Buffalo. 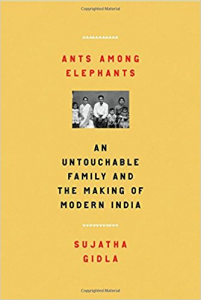 The conference will feature a keynote lecture by Sujatha Gidla, acclaimed author of Ants Among Elephants: An Untouchable Family and the Making of Modern India (Farrar, Straus and Giroux, 2017). 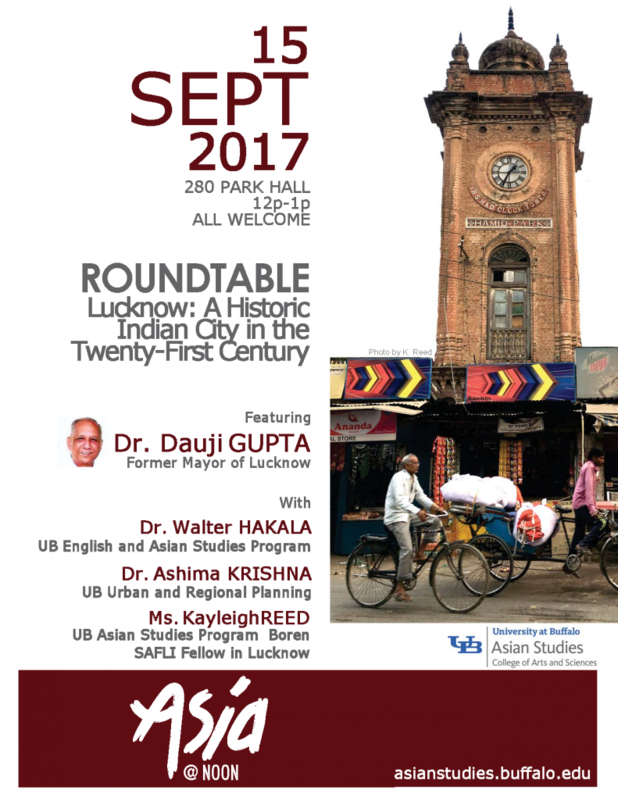 Undergraduate presenters from institutions located throughout the United States will share their current research on South Asia. Undergraduate scholars based in South Asia will be joining us via Skype. The first annual Rustgi South Asian Undergraduate Research Conference is made possible by a generous gift from Dr. Vinod Rustgi and his family. The University at Buffalo Asian Studies Program, Department of Anthropology, Department of English, Department of History, Department of Linguistics, Honors College, Office of International Education, and Humanities Institute have provided additional support and funding. While this list of suggestions is by no means exhaustive, we encourage papers that address less commonly researched sociopolitical issues, communities, or theories. We hope to organize panels with presenters addressing similar issues from a variety of disciplinary perspectives.Please visit http://bit.ly/rustgiconferencesubmissions to submit proposals. Accepted applicants who submit complete proposals by August 1, 2018 may be eligible for a travel subvention of up to $200. Applicants should also seek funding from their home institutions. The conference organizers will assist participants in seeking affordable accommodations in Buffalo. The conference will be held on Saturday, November 3, 2018 at the University at Buffalo, SUNY​. Students presenters should plan for 15-minute presentations. Each panel will include 30 minutes for discussion. The lecture traces the influence of ancient and modern Indian traditions (legends & myths) to Seema’s own spiritual quest and expression in her art. Visiting artist Seema Kohli (India) has offered a rare opportunity for the UB and Buffalo area community to join her in a gold-leaf painting workshop. The gold-leaf painting workshop focuses on an ancient, traditional Indian art form. The workshop is limited to 20 participants, and a ticket is required (register here). The workshop runs from 2:30pm to 5pm on Friday, October 27, 2017. The workshop is free, but is limited to 20 participants. All materials will be provided. 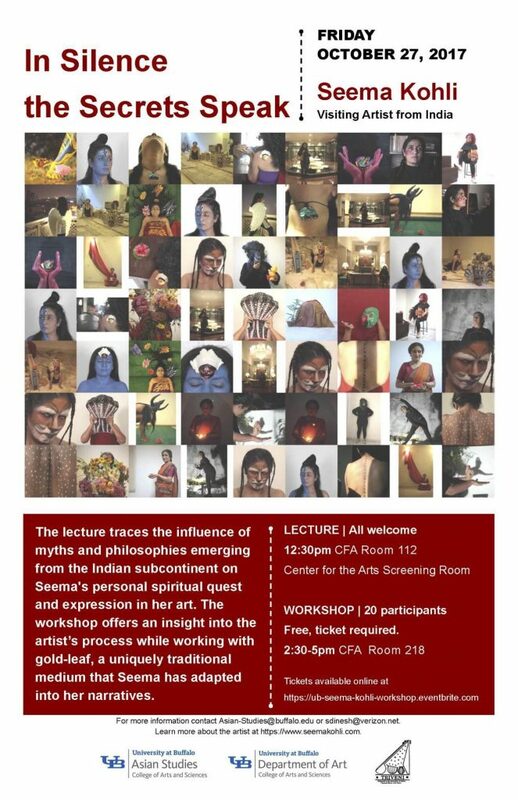 The workshop is directly after Seema Kohli’s 12:30pm public lecture “In Silence the Secrets Speak” (CFA Screening Room, UB North). The lecture traces the influence of ancient and modern Indian traditions (legends & myths) to Seema’s own spiritual quest and expression in her art. Registration for the 12:30pm lecture is NOT required. Current UB undergraduate and graduate students are invited to apply for funding to attend intensive summer language programs offered by the American Institute of Indian Studies. Applications for funding will be evaluated by UB Asian Studies Program faculty and staff. Rustgi South Asian Language Awards support the full cost of tuition and roundtrip airfare to India. An additional subvention for living expenses may also be available based on funding levels. We anticipate awarding two student awards for summer 2018. Participants are expected to devote their energies to activities that will increase their proficiency in all skills—speaking, listening, reading, and writing. For eight weeks at each AIIS language center, there will be at least four hours a day of classroom instruction and individual tutorials with regular out-of-class assignments requiring interaction with community members. Attendance is mandatory in class as well as at other activities such as cultural visits, films, and plays. There is special emphasis on connecting with the local speech community and self-management of learning. Participants are encouraged to identify and prioritize their language learning needs and keep track of their language development. Students are encouraged to stay with host families. Note that this is not a research program. Participants are expected to devote all their energies to learning the target language. For more information, please visit the AIIS Language Programs website. Those applying for Bangla, Hindi, Tamil, and Urdu must have completed at least one year of language study before attending the program. Two years of prior language study are required for Sanskrit. Applicants for Gujarati, Malayalam, Marathi, Punjabi, Telugu, and Kannada may apply at all levels, including beginning. Applications for other South Asian languages (Pali/Prakrit and Mughal Persian) will also be considered. At the time of application for this award, applicants must have already applied to an AIIS summer language program. The deadline for submitting materials to AIIS is December 31, 2017. The applicant agrees to be an ambassador for Asian Studies at UB by sending occasional posts and photos of their experiences while in-country for use on the Asian Studies Program’s social media and website. The applicant must also be willing to talk with other students about their study abroad experience upon returning to UB. 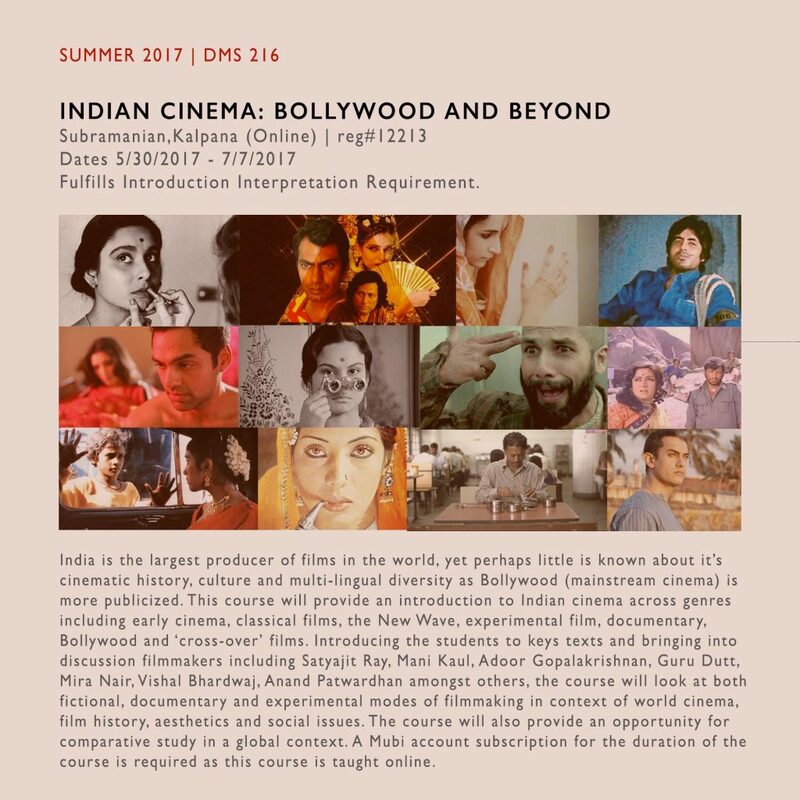 The applicant’s plans to enroll in additional South Asia-related courses including a required 1-credit South Asia seminar in the fall semester following their return from India. Preference will be given to students seeking to learn “critical need” languages (Bangla, Hindi, Punjabi, and Urdu). One-page (less than 500-word) statement of purpose describing your academic reasons for selecting a particular program, detailing how the study abroad program will fit into your overall academic program and goals, and how the program benefits your personal, academic, and professional development. This may be the same statement prepared for the AIIS application. Transcripts: Applicants should scan their undergraduate and graduate transcripts (from U.S. or Canadian universities only) and include them in the single pdf file. 3) Applicants should also submit two (2) letters of recommendation emailed as an attachment directly from their professor or instructor. Instructors may also mail their recommendations in a sealed envelope signed by the professor to Asian Studies Program, 412 Clemens Hall, Buffalo NY 14260. 4 pm Friday, January 5, 2018. Please contact the Asian Studies Program at Asian-Studies@buffalo.edu or 716-645-3474 if you have any questions. Dr. Dauji Gupta is a former mayor of Lucknow, served as a State Senator, and is an author, poet, and linguist. His PhD is from the University of Lucknow, and he also has studied in Lucknow Christian College and the University of Vermont. In addition to his work as a politician and a scholar, Dr. Gupta led and was a member of movement for the emancipation of Dalits and the abolition of the caste system in India. Dr. Gupta was born in Lucknow, grew up there, and is deeply influenced by the cultural traditions of the city. March 3, 2017, 12:30 pm. Lunch served at 12:00 pm. 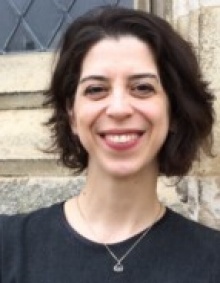 About the speaker: Mitra Sharafi is a legal historian of South Asia. She holds law degrees from Cambridge and Oxford (the UK equivalent of a JD and LLM) and a doctorate in history from Princeton. Sharafi’s book, Law and Identity in Colonial South Asia: Parsi Legal Culture, 1772-1947 (Cambridge University Press, 2014) won the Law and Society Association’s J. Willard Hurst Prize for socio-legal history in 2015. The book explores the legal culture of the Parsis or Zoroastrians of British India, an ethno-religious minority that was unusually invested in colonial law. 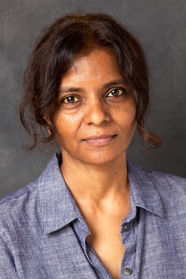 Her research interests include South Asian legal history; the history of the legal profession; the history of colonialism; the history of contract law; law and society; law and religion; law and minorities; legal consciousness; legal pluralism; and the history of science and medicine. Sharafi is a regular contributor to the Legal History Blog. 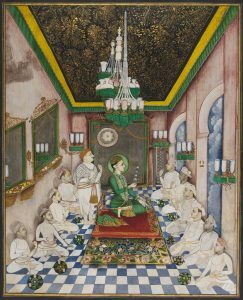 Since 2010, her South Asian Legal History Resources website has shared research guides and other tools for the historical study of law in South Asia. Follow her blogposts and follow her on Twitter @mjsharafi Read more. In 1851, the young Tukoji Holkar, Maharaja of Indore, went missing under suspicious circumstances. Some said his regent wanted him out of the picture. Others speculated that he’d been kidnapped and taken to Calcutta by nefarious colonial agents. In truth, he’d skipped town to make a clandestine tour of of North India. After his return, Holkar did something that was doubly unprecedented for a Persian-speaking court of his time: he wrote a travelogue, and he wrote it in Urdu. Following his lead, other princes across the region began to write their own, increasingly elaborate travel accounts. By the end of the 19th century, writing about travel have become a well established expression of princely praxis. Focusing on two narratives in Urdu from 1851, this talk will argue that the decision to write a travel account – and to do so in Urdu – reflected Holkar’s, and the princely states’, desire to use travel literature to stabilize their legitimacy at a time when colonial predations had rendered it increasingly precarious. Supported by the UB Honors College and Asian Studies Program. 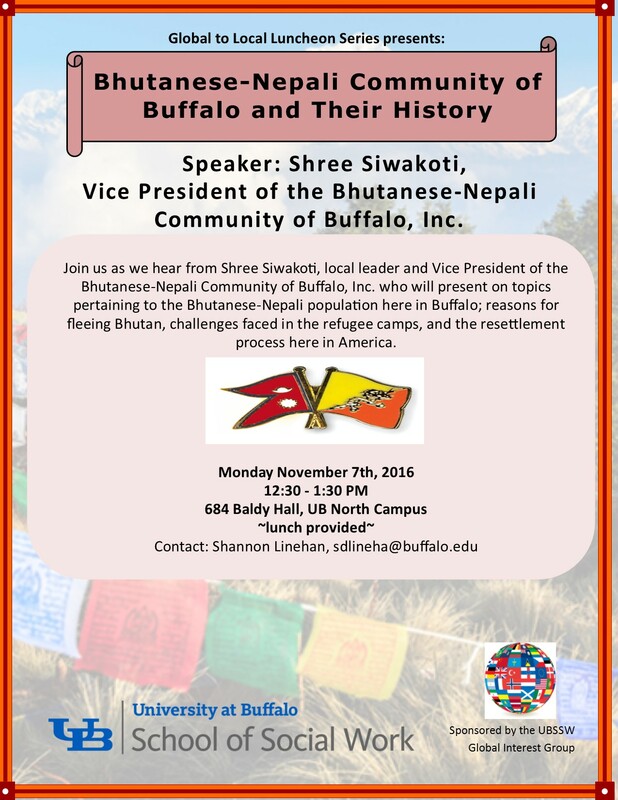 The Bhutanese-Nepali Community of Buffalo and their History with presenter Shree Siwakoti, Vice President of the Bhutanese-Nepali Community of Buffalo, Inc.
Mr. Siwakoti will discuss: Reasons for fleeing Bhutan, challenges faced in refugee camps, third country resettlement, and information on the Bhutanese-Nepali Community of Buffalo, Inc.
supposed decline in the quality of a late empire’s literary output, or “decadence” to use the term most commonly applied, is however poorly theorized both by historians and literary scholars. There is often a circular logic in the academic division of labor: Historians use the decontextualized insights of literary scholars to argue that literature decreased in quality in an empire’s last phase while literary scholars use historians’ work to read societal decline into literary works. Ultimately this reflects more of our own preconceptions than the thought of the society being studied. This lecture will draw on two very different historiographical case studies, namely the Roman Empire and the Mughal Empire, which ruled much of the Indian subcontinent from the sixteenth century to the nineteenth century. Our understanding of the fall of Rome has become much more sophisticated in recent decades but in the case of India the colonial historiography (itself built upon some long-outdated ideas about the late Roman Empire) is still in need of being reconsidered. 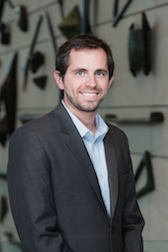 Dr. Arthur Dudney is Leverhulme Early Career Fellow at Cambridge University and scholar of Indo-Persian literature. He is the author of Delhi: Pages from a Forgotten History (Hay House, 2015) and has published work in The Journal of the Royal Asiatic Society, Journal of Persianate Studies, Encyclopedia of Indian Religions, and Indian Linguistics. Dudney recently discussed his book and current projects for New Books in South Asian Studies. Arthur Dudney’s talk is generously supported with funding from the UB Honors College, Department of History, and Department of Linguistics.